Every week, cool website io9 posts a piece of intriguing concept art, and encourages readers to come up with a short story that relates to it. Here’s this week’s post, and the artwork by Vitaliy Shushko, and my story that was inspired by it, are below. “Was this ever funny to you?” Rufus cocked his head; every expression underwater had to be exaggerated. A raised eyebrow wasn’t enough to show his disgust. Alique stood silently between the two middle-aged men; the only African, the only female, the slender thirty year old was constantly reminded that she was the reluctant Eve trying to remake Eden with two despondent Adams almost twice her age. In their tight orange and grey pressure suits and oval masks, everyone resembled the same dull mannequin, but she had come to know these two men far too well in the seven years they’d been given the greatest responsibility known to mankind– to save it. The silence atop the small hill became annoying. Their home/research station/bunker known as Beta Base contained a litany of sounds that brought memories of life above in the form of random audio tracks, such as young students playing, gentle wind blowing leaves and cars hitting puddles, but the three survivors quickly grew bored with these novelties. Psychiatrists had initiated the notion, to retain some semblance of normality, but hearing the laughter of non-existent children echo through a metallic cavern in the depths of the ocean only served to bring unease. “I’ve had enough of this. You guys are depressing me more than usual.” Alique turned away, kicking up a smoky mixture of sand and seaweed in her angry pivot. Rufus and Thom barely glanced at their departing colleague, as she made her trudging and silent way back to base. Beta Base existed as a monstrosity comfortably nestled in the bowels of the Atlantic Ocean. It resembled a hulking octopus and over the years grew to the size of a self-contained suburb, with all the necessary pursuits and amenities from a medical care to schooling each given a mammoth tentacle to call its own. Originally it housed seventy two scientists, radicals and free thinkers, keeping them safe from the dangers of their own mad, dwindling species as well as the largely unknown beastly invaders that had made Earth its own. That was two generations ago upon discovering that the new angry alien overlords could go nowhere near seawater. Suicide, disease and ageing had taken its claim on wise minds and unforgiving bodies. Now it was only down to three. Alique, being the only woman was unable, and unwilling to bear children, and nixed the suggestion as soon as it became obvious that humanity would come down to three people hiding at the bottom of the Arctic Ocean. The men looked down upon their “silent soldiers,” as they called them. It had taken multiple agonizing attempts to clone anything resembling a humanoid, and as their collection of untainted tissue samples dwindled, so did their success rate. The initial seven all looked alike; hairless and androgynous, they shared a mild telepathic link with each other, which was their primary means of communication. This first successful attempt at reviving humanity they dubbed “A.” A stood before a waiting hole, which he had dug personally, as he always had. This time he purposefully left the shovel back in the massive storage area back at base, and used the cross to dig. His strength, and the soft seabed meant he was done in a matter of seconds. He also showed lack of confidence in his trio of “masters” by bringing a collection of crosses, which lay atop each other behind him, ready to be used for the next few burials. B to G held today’s failure upon their sinewy shoulders, a task they had fulfilled often, and with no emotional attachment. 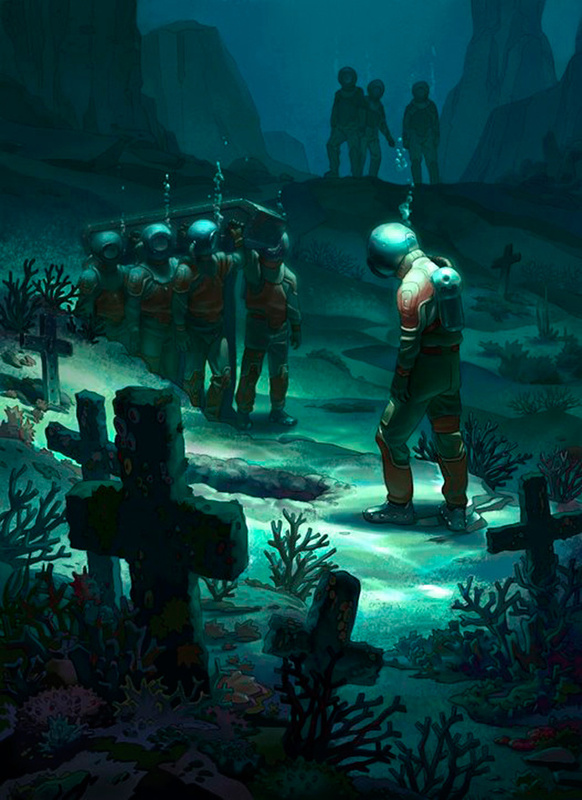 The crew had to venture further across the ocean floor with each burial as graves had taken almost every available space within short walking distance of the base. Today’s small valley would soon be filled with death. Rufus and Thom briefly looked as the metal coffin was thrown in the hole, sinking like a sigh to its place of rest amongst the few fish. The clones made several unusual body contortions, and began kicking in sand to cover it, as A knelt and used his hands to finish the task, cupping his hands like a crude bulldozer. 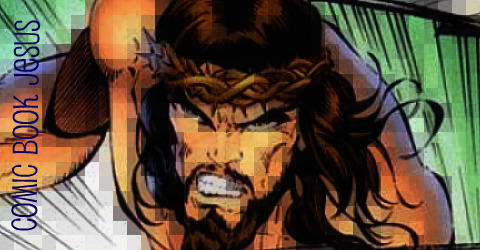 When the coffin was covered, he stood up, lifting the horizontal arms of the cross/shovel upon his shoulders and jabbed it deep in to the ocean’s belly, like a knight felling a wounded enemy. The pair of scientists noticed that with each new burial, the clones’ rituals were becoming more ornate, but they had neither the inclination or strength to discuss it further. They turned in unison, nodded and made the meandering return to base, expecting to find Alique in her usual place looking through the remote telescope, reminding herself what sunlight and cities looked like. A looked at his “parents,” as they trudged home. B to G stepped closer to the coffin and looked in unison at the remaining crosses laying in a pile behind him. A glanced at the unused grave markers with great intensity. All the clones remained unmoved. The curtain of sunlight danced upon their sleek suits; the only movement in an area that was once crowned with a life of abundance and variety. There was now a void of living creatures, a void that was echoed above the blue expanse, and a void that longed to be replenished. Melbourne based publisher Milk Shadow Books are launching two new comics at All Star Comics in Melbourne on Saturday October 12. The two comics are Dillon Naylor’s Da ‘n’ Dill-The Showbag Years, and Ben Constantine’s Squirt-Stone-The collected Plump Oyster volume 1. Both creators will also be there. You can find out more about the event right here, and here is where you’ll find more of Milk Shadow’s unique creations, and below is the official lowdown of the event. Milk Shadow Books, All Star Comics Melbourne and Madman proudly invite you to celebrate the launch of Dillon Naylor’s Da ‘n’ Dill – The Showbag Years and Ben Constantine’s Squirt-Stone – The Collected Plump Oyster Volume 1. Come along and be part of the long-awaited return of the cult children’s comic creations , Da ‘n’ Dill, and the first mega collection of the amazing, alternative Plump Oyster comic series. In a rare appearance, both of the artists will be in attendance – signing, sketching, and discussing their work – with you! For a limited time, the books will be packed into their own showbag with lollies, and other gifts courtesy of Madman Entertainment Australia. Plus there will also be signed limited edition art prints for sale by both Dillon and Ben! AND… two people could find the LUCKY TICKETS, which entitles them to a page of original Da ‘n’ Dill art or a piece of art by Ben Constantine. Come along and see some of the strangest and best work that the Australian comix community has to offer! I’ve been trying to read more novels lately. Here’s a brief review of the latest one. 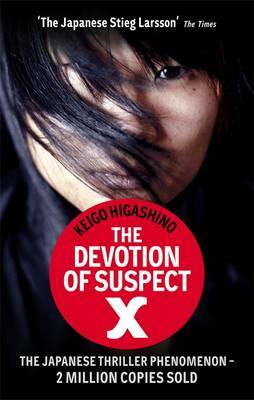 I picked up The Devotion of Suspect X by Keigo Higashino as it was a recommendation from the owner of a small bookstore owner. (I always like to support the non-chain bookstores). I did notice a handful of grammatical issues, especially in the early pages of the book, which I found surprising. Sure, it’s been translated from Japanese, but this 2011 English version has also been nominated for two awards for its translation. Set in contemporary Japan, it focuses on Yasuko, a quiet single mother who has moved to escape her former husband. However, when he shows up at her apartment one night, it doesn’t end well for anyone, and when her neighbour Tetsuya Ishigami offers his genius-level maths approach to assisting the young family, the stakes are raised, and the plot becomes complicated, but thankfully, still easy to follow. It’s the third book featuring the Detective Galileo character, known as Manabu Yukawa, who is an old college friend of Ishigami and whose investigation, coupled with his knowledge of Ishigami’s eccentric behaviour, leads to the novel’s intensity in the latter half. I haven’t read the other two books featuring the detective, and it wasn’t an issue. This is a stand-alone novel that you can delve right in to. The first half is a bit slow, but it certainly picks up in the last half, and as I got down to the final chapters, I couldn’t wait to finish it. There are surprising developments which work splendidly in raising questions about various characters’ integrity and true motivations. There are two film adaptations out already, (a Japanese, and South Korean version), with a third American remake on the way. I don’t think I’ve ever heard of one novel spawning that many international adaptations in such a short amount of time. Although there are crime elements, seeing as it is a murder mystery, it never becomes gory or gruesome. It is a story about murder, sure, but it is more about the exploration of unusual relationships, the line between respect and romance, and the depths one can sink to to rationalise horrific acts, as well as the effects of loneliness and social isolation. Indie publisher Top Shelf continue to produce awesome comic book goodies, and their annual sale bonanza has returned. Make the most of this opportunity to get some great stuff for yourself or friends. All of it is a safe bet, but here’s my review of God Is Disappointed In You. Official details below. THE 2013 TOP SHELF MASSIVE $3 SALE! 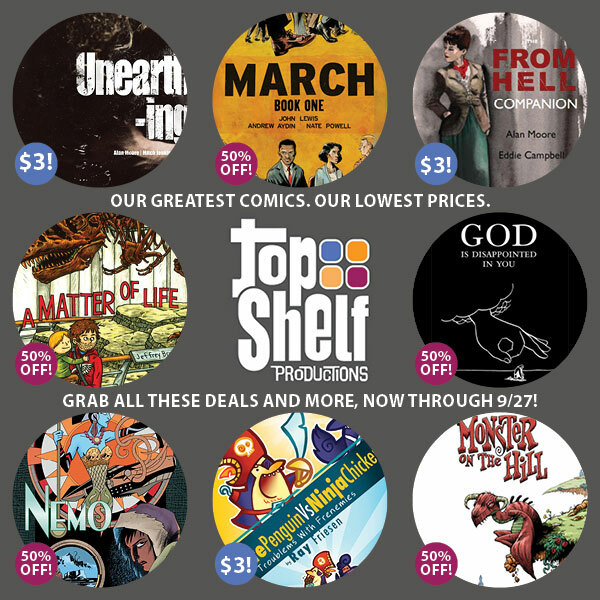 For the next two weeks — thru Friday September 27th — Top Shelf is having our annual $3 web sale. When you visit the site, you’ll find 150+ graphic novels and comics on sale — with over 100 titles marked down to just $3 & $1! Each year Top Shelf uses this sale to help spread the word about our incredible new releases, and raise funds to “kick start” a full rollout for next year. With your help, we’ll keep publishing some of the most beloved graphic novels on earth — from award-winning masters and exciting new talents (and yes, even Members of Congress!). Now’s your chance to support a great independent publisher and expand your graphic novel collection at the same time. TOP SHELF’S MASSIVE $3 SALE ITEMS! And retailers, this sale is GOOD for y’all too! Certain minimums apply, so email me, Chris Staros chris@topshelfcomix.com for details. 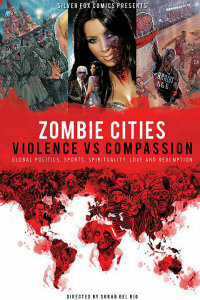 I reviewed the second Zombie Cities anthology from Australian publisher, Silver Fox Comics, here at Broken Frontier.